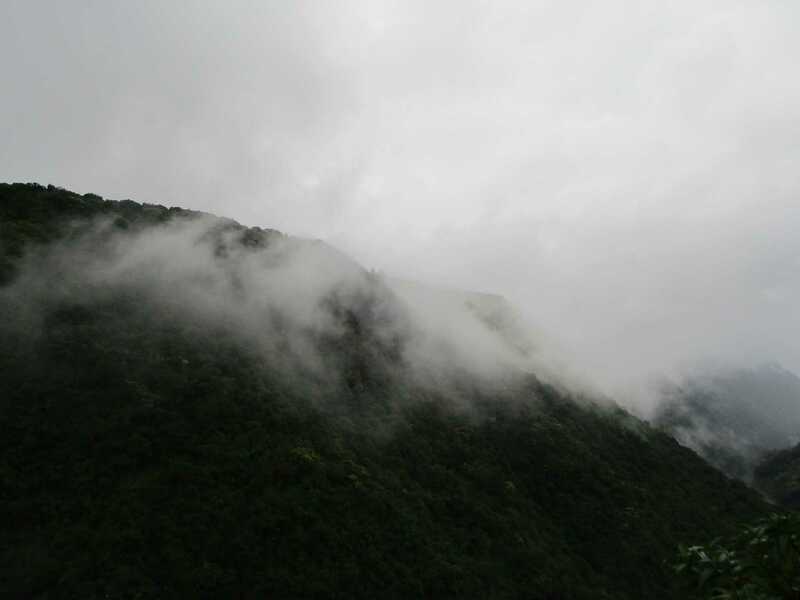 andshedressesup - Meghalaya.... a misty mystery in North East India. Meghalaya.... a misty mystery in North East India. For those who are following my posts they already know that I have gone to Shillong in north-East India recently and put up all the details for sightseeing in Shillong in my last post named.. When North-East Calls... Do read the same. I will discuss here in this post about my journey from Shillong to the interiors of Meghalaya ie Cherrapunji and Dawki and the state never makes you regret for a second with lush greenery and chilly foggy yet cheerful weather. From Shillong, you can hire a car, like I did via Ola Rentals and travel to cherrapunji which takes for about two hours approximately and on your way, I have stopped at Elephant Falls and Nohkalikai Falls unlike the falls that I have visited in northern India, here the waterfalls are kept clean and nature is in abundance. If you are hungry, you can stop at Mawkdok Dympep Valley Point for some quick food like hot steaming noodles, good cup of instant coffee or orange slush. You can a get good wholesome meal also at pocket friendly price here. This view point is must visit as you can literally see the clouds drifting away infront of your eyes as if its a regular ritual to flow like that.The next stop for the day was my resort at cherrapunji which was nothing short of another gem in the town, Polo Orchid Resort. Rooms will be around 7500 INR as per online travel portals along with your lavish breakfast which is complimentary. For the evenings, you can warm up with some hot liquors in their Irish Pub and every room opens up to a spectacular view of Nohklikai Falls and an aerial view of Bangladesh from a distance. I relaxed the evening at the resort and started my journey again the other day towards Dawki and Mawlynnong Village which was recently voted as Asia's cleanest village. It will take you around one hour forty minutes to reach the village from cherrapunji township and if you hire a car (Non-AC) then they will charge you Rs 3000 for the whole journey for the day and drop till your hotel at cherrapunji again. The mawlynnong village is a clean village but with very limited resources. One cannot find a simple restaurant to take their lunch there but the single decker living root bridge is another attraction there. There is Double Decker Living Root Village too nearby but not recommended to people with heart ailments as it can exhaust you fully. One needs to trek for minimum three hours to complete their sightseeing in the double decker bridge which is tough for some with breathing troubles like me. So only if you are great with walking, running and trekking.. you should take the chance and share your views with me too as I could not made it .. Haha!!!! I moved forward, another one hour and reached Dawki, which was my Mini-Thailand moment within India. The Umngot river has clear water and with clear water, I meant one can see the pebbled down there even. You can see both the nations Bangladesh and India fishing side by side and the dearth of immigration issues here amazes you. You can go fishing with the fisher men here or even you want just take a brisk boating moment in those quintessential fishing boat that we normally see in other Asian Countries. It was all so blissful and my words will not do any justice so do visit it once in your lifetime. You can again go ahead from there till the border with Bangladesh and wake up the patriot within you.. This whole journey took me the entire day and on my way back, I had a good meal at Mawdok Dympep point again. On the third day, I headed back to shillong and while visiting shillong again, visit The Great Umiam Lake... which is your little Scotland... The lake is so placid and calm and place is well-kept making you forget that it is withing India where we are daily fighting to keep our places clean. The truth is people here in North-East India keep their home clean and knows the importance of delivering the message of Clean India through their model of own township. You can go speed boating in Umiam Lake along with an instructor for a fair amount of Rs 500 to Rs 1000. One more place to see is the shillong peak where you get to see the entire shillong clearly and it is withing the army area. Keep your identity cards handy to visit the shillong peak. I hope you love the pictures and if you have any query and planning your trip to meghalaya, shoot me a mail, I will be more than happy to answer back.